Discussion in 'Visual Arts' started by GuildX700, Dec 27, 2016. 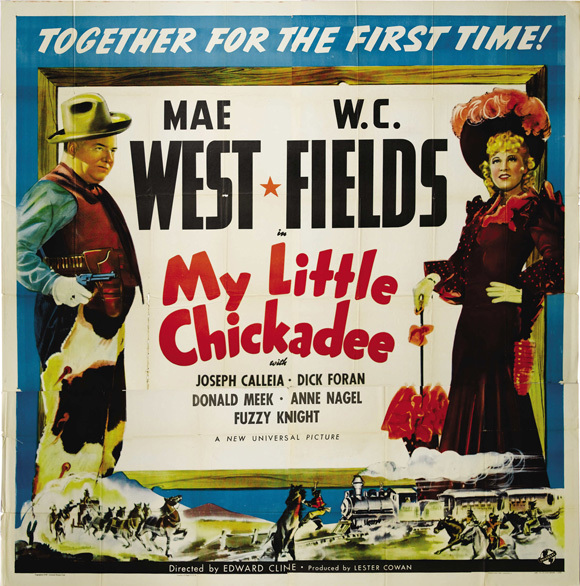 I just remembered and was jogged in my memory playing WC Fields His Only Recording on vinyl tonight and watching My Little Chicadee with Mae West that WC Fields passed away on Dec 25 1946, 70 years ago this Christmas, a day he supposedly hated! Hats off to the great one!!! Fullbug, John B Good, ggergm and 1 other person like this. I love the story of WC Fields on his death bed. He was in the hospital and a friend came by for a visit. He found Fields reading the Bible. His astounded friend, knowing Fields wasn't religious, said, "Bill, what are you doing, reading the Bible?" Fields replied, "Looking for loopholes." Dan C, chilinvilin, All Down The Line and 12 others like this. Cuthbert J. Twillie: May I present my card? Flower Belle Lee: 'Novelties and Notions.' What kind of notions you got? Cuthbert J. Twillie: You'd be surprised. Some are old, some are new. Whom have I the honor of addressing, m'lady? Flower Belle Lee: Mmm, they call me Flower Belle. Cuthbert J. Twillie: Flower Belle, what a euphonious appellation. Easy on the ears and a banquet for the eyes. Flower Belle Lee: You're kinda cute yourself. Cuthbert J. Twillie: Thank you. I never argue with a lady. Flower Belle Lee: Smart boy. thestereofan, GuildX700 and John B Good like this.
" No, I don't know Carl Lafong. Lafong. Carl Lafong." FritzL, GuildX700, The Zodiac and 1 other person like this. ARK, GuildX700, The Zodiac and 1 other person like this. I read somewhere that he was "stung" in the 1929 crash and lost it all (or a lot of it?). After that, he determined to use banks all over the USA (since you traveled a lot in vaudeville, it was easy to do) so no one would find his money, some of the banks would survive the next crash or something along those lines. And he was right, after he passed, his heirs could not find his money. Or something to that effect. Lord Summerisle and GuildX700 like this. I remember hearing that, not sure if it's true but it sounds like him. I think it was in a George Burns book, where he reminisces about his and Gracie's glory days. I also think that he usually brought along his favourite alcoholic libation to parties in various vest pockets, in case of emergencies. George Burns relates the story when he stocked W.C.'s favourite alcohol (don't remember what it was) and when W.C. learned this, he told his chauffeur to take back his vest as he would not be needing it that night. Dan C, Lord Summerisle and GuildX700 like this. An overlooked classic of his is "Man on the Flying Trapeze." Jazzmonkie, Gramps Tom, Glenn Christense and 1 other person like this. 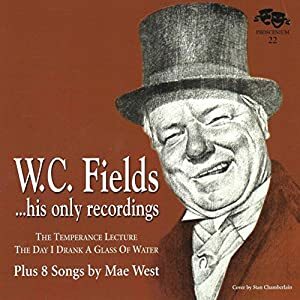 WC Fields was a true genius, who wrote his own material. His humor is incredibly modern. I love the crazy names he came up with for the characters in his pictures. Fullbug and GuildX700 like this. That movie was hard to even get for years until they finally put it out on DVD. There's a fairly young Walter Brennen in that movie. There's still several of his lesser films that are basically unavailable. I guess he liked words and how they sound, he'd come up with some real odd words and names. As it turns out, I watched YOU'RE TELLING ME, in which he plays Sam Bisbee. "One of nature's gentlemen." Gramps Tom, Robert M. and GuildX700 like this. Glenn Christense and GuildX700 like this. on dvd/blu etc, but is there a reason why getting a complete collection of his is impossible to buy? what do you guys own on dvd or blu ray? Contrarian to the last, dying on Christmas Day . . .
All Down The Line and GuildX700 like this. There is a very good 18 movie DVD set which is the most complete, no blu rays, as far as restoration and obscure stuff, Fields sadly is not as popular so it's not a high priority for them to work on. On sale now for $29 less than $2 a movie! I read that also , probably in one of his biographies. I got turned on to W.C. very young by my dad. He and my uncle would take me to movie theaters showing like... The Fatal Glass of Beer, the Golf Specialist, the Dentist and a Harold Lloyd movie or similar.I thought W.C. was hilarious and still do. getting dumped on guy . He was great doing both types. For out and out over the top, out of control W.C. , I love Never Give A Sucker an Even Break. He is just nuts in the movie. If he hadn't been a drinker, I would have wondered what drugs he was taking to come up with that one. An airplane with an observation deck, etc. GuildX700 and Fullbug like this. me to this set. Cheers!